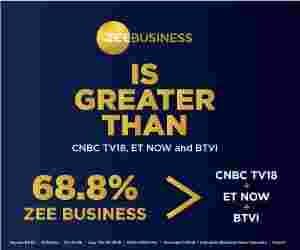 How to become rich in India fast: This 22-year old Zee Business TV viewer wanted to know how to become a crorepati in 10 years; see what expert advised. How to become rich in India fast: Well, who doesn't want to become a crorepati? But this desire burns most in the younger population and the go-getters. And with more active years at hand, they are definitely in a better position than others to make it big in life financially. For a middle class earner with no significant parental wealth, being a crorepati looks like a pipe dream, but this can very well become a reality. All they have to do is build a source of passive income with the help of an active one and then add to the gains by adding to the earnings through the magic of compounding. Yadav also runs a monthly SIP of Rs 6000 in SBI Smallcap Fund, and Rs 4000 in SBI Midcap Fund. He wishes to become a crorepati in 10 to 12 years. 1) The current SIPs are not enough to accumulate Rs 1 crore in 10-12 years. At least Rs 32,000 per month investment will be required to collect inflation-adjusted Rs 1 crore during the said period. 2) The expert advised him to increase his time horizon along with investment amount to become a crorepati by late thirties. 3) The expert cautioned him against investing lumpsum in mutual funds. "Instead of shelling out lumpsum in equity funds, better to do that in liquid funds, and then moving money from liquid to equity via Systemic Transfer Plan (STP)," she advised. Thus, being crorepati is not that difficult as it appears. All one needs is discipline and patience to enjoy rewards from the stock market.